Baba please arrange the marriage of my brother and sister with your blessing. Re: Baba please arrange the marriage of my brother and sister with your blessing. sai will bless you soon with a baby. you are going to have more celebrations. Your immense faith towards Sai will do anything happen. His grace is so powerful if we are trust Him fully. I,m totallly dependent on Sai Ram.Hope with Sai Baba's blessing everything will be soon alright. There are something which are not in our hand even after our hard work we can,t get it. In such cases Baba comes to us to help. Those people who remmember sai in there difficult phase , surrender them to his holy feet, baba surely blesses them and they passe most difficult phases of life as a practicle lessons of life, not mourning on them but learning from them. Thank you nimmi ji for your prayers.I,m waiting for the good news from Sai baba. Sai baba will definitely do good. Baba my brother's age is 35 and sisters age is 33. Please baba arrange their marraige as early as possible. I know your lines Shradha and Saburi, but as age will pass, then its becomes too difficult to get arranged.Bless both of them. I just thought that both your brother and sister can do Sai Satchritra Parayana for their well being. Tomorrow being our Baba's day ask them to do if they can for a week. 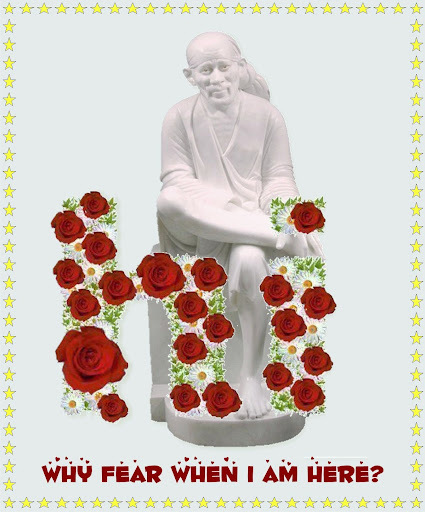 Baba Sai bless your family soon. I am sure He wll. He can do wonders if we have firm faith and devotion towards Him. Sai's leela are always wonderful. I will ask my brother and sister both to do the parayana of Sai Satcharitra. Baba please fulfill my wish .I don,t want anything without your blessing,so please my brother sister and whole family.Also bless my inlaws with good health. Baba apko mera koti koti pranam. Bless all ur children . Baba one proposal has come for my Sister. Please bless her so that everything goes well. Please see that lata ji's sister and brother gets settled soon. Please bless them to get married soon. If this is the best match then, make it possible and see that it is fixed by your grace. You are our father and our protector, please show mercy. Please bless you children and take good care of us. Page created in 0.377 seconds with 70 queries.